Located in the heart of Downtown Atlanta is Centennial Olympic Park, which was a highly visible part of the 1996 Olympic Games which put Atlanta on the worldwide map. This beautiful urban park hosts several concerts, festivals and other events throughout the year. 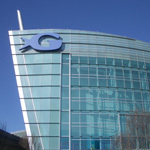 Directly across the street from Centennial Park is the Georgia Aquarium which is the largest aquarium in the world. Exotic sea animals are beautifully displayed throughout the state of the art aquarium. Children and adults alike will bask in the excellent educational programs and shows which combine entertainment and information for a true appreciation for the oceans and those animals that call the ocean home. Less than a block away from the Georgia Aquarium is the World of Coca-Cola Museum. Atlanta is home to the soft drink empire which employs thousands of Atlantans and is a huge economic factor in the Downtown Atlanta area. The Coca Cola Museum is one of the city’s largest attractions, boasting millions of visitors a year. From the origins of the first cola recipe to the worldwide variations available for sampling, this museum is a must see for visitors and locals alike. Within walking distance from the Coca Cola Museum lies Imagine It! The Children’s Museum of Atlanta which is a cornucopia of activities, exhibits, shows and programs for children ages eight and under. This is also a great destination for parties and special events as the museum houses a few banquet rooms specifically made for large groups. Still within the bustling Downtown Atlanta area, the CNN Center is the epicenter of the world of news, media and entertainment. Tours of the main newsroom and the inner workings of this news and media giant are a huge draw. The CNN center also offers up an impressive food court that will assuredly quench any hunger pangs that may arise while enjoying the sights and sounds of Atlanta. 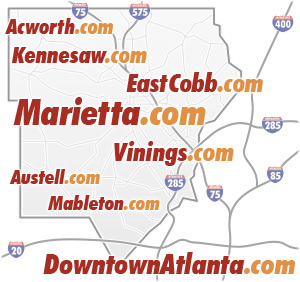 Downtown Atlanta is home to several major sports teams. The Falcons play at the Georgia Dome which is one of the largest indoor football arenas in the Southeast. The Georgia Dome is also home to some of the top events and shows in Atlanta. 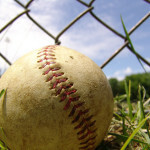 The Braves are a mainstay at the historic Turner Field which is also home to several special events throughout the year including the Universoul Circus and major concert series. Home to the Atlanta Hawks and the Atlanta Dream, Philips Arena is the top destination for the city’s best sporting events. Throughout the year, many of the best concerts are staged at this state of the art arena. 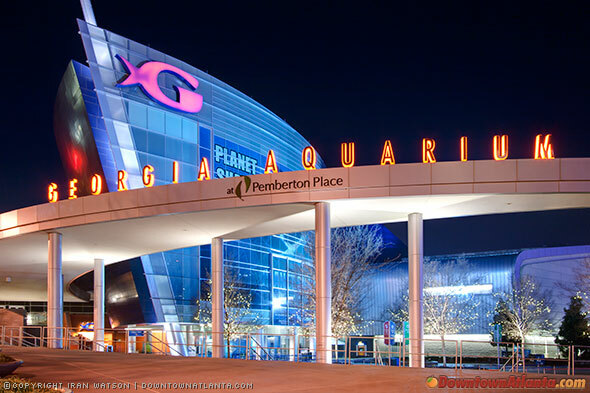 Philips Arena is one of Downtown Atlanta’s most sought after entertainment centers. Another of Downtown Atlanta’s most diverse entertainment centers is Underground Atlanta. Often referred to as “The Underground,” this unique location boasts several top restaurants, nightclubs, specialty shops and a special historical tour which is fun for the entire family. Many of the city’s largest festivals are held at the Underground making this a must-visit destination. 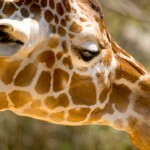 For the animal lovers in the group, the Zoo Atlanta offers visitors a world class view of some of the rarest animals on the planet. From the Panda exhibit to the Gorilla habitat, there is something for everyone to enjoy at this highly educational and entertaining destination. If you’re in town long enough to catch a show, more than likely it will be held at the historic Fox Theatre, a landmark in the heart of Downtown Atlanta on the famous Peachtree street. Top entertainers, comedians and A-list performers have all had the pleasure of working the wonderful stage at this gorgeous theatre. Piedmont Park is a great place to enjoy the warm weather that draws so many visitors to Atlanta every year. From the beautifully maintained grounds that accommodate sunbathers, roller bladers and dog walkers to the picturesque lake that lies in the middle of the park, this “Central Park” of Atlanta is a great place to take in the natural wonder of this amazing city. No visit would be complete without a trip to the Atlanta Botanical Gardens, the High Museum of Art, and Fernbank. Each of these cultural and historical destinations offer unique exhibits and programs throughout the year. The Atlanta Botanical Gardens is home to some of the world’s most exotic flowers and plants beautifully displayed in special exhibits. There are several unique seasonal programs throughout the year. The Fernbank Museum and Imax Theater is also a great way to spend the day as there are a myriad of displays and programs that educate and inform no matter what you’re interest. Downtown Atlanta is rich with cultural, historical and fun-filled attractions that showcase the diversity of this growing metropolis.